I thought it was only fitting to have this guy as my first featured subject. 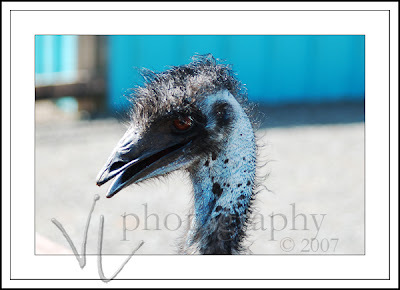 He’s about the size of my regular subjects, and just about as cooperative 😉 I found this fabulous-looking emu at the zoo yesterday, and had to try some portraits. I will be posting sneak previews from my portrait sessions, examples of my fashion photography, and other fun photos periodically. Posted 11 years, 11 months ago at 1:29 pm.